From an idea born to satisfy the fans of Cheek's shot on Atomizer at TANK the FLYTANK was created, a REGENERABLE sprayer that is practical and quick to regenerate and easy to use. 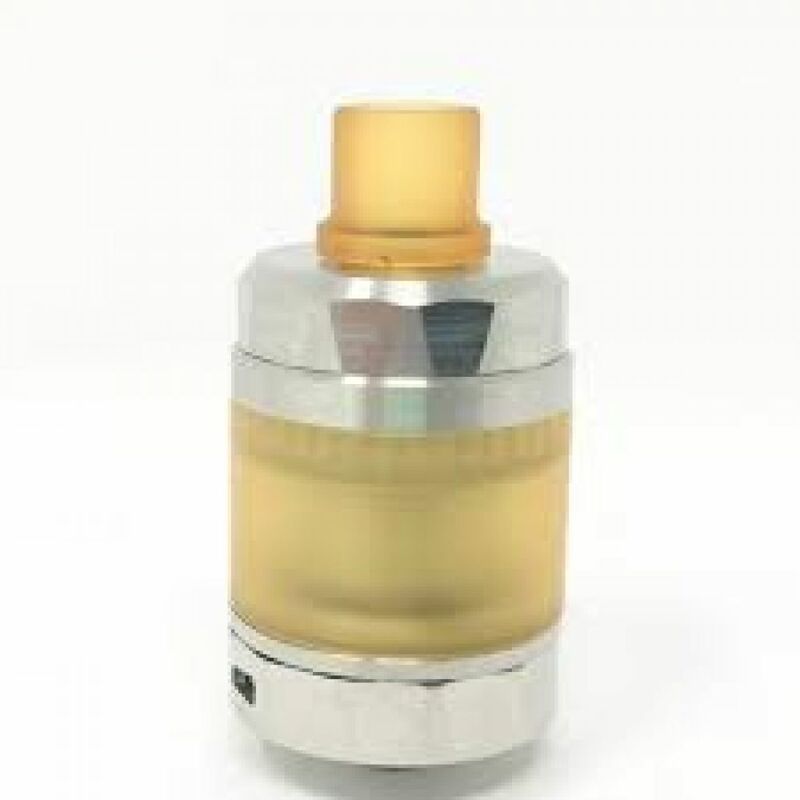 There are several possibilities for adjusting the air, in fact it is possible to have a very contrasted shot and closed until you get (for lovers of airy cheek shot) to a more free and open shot. 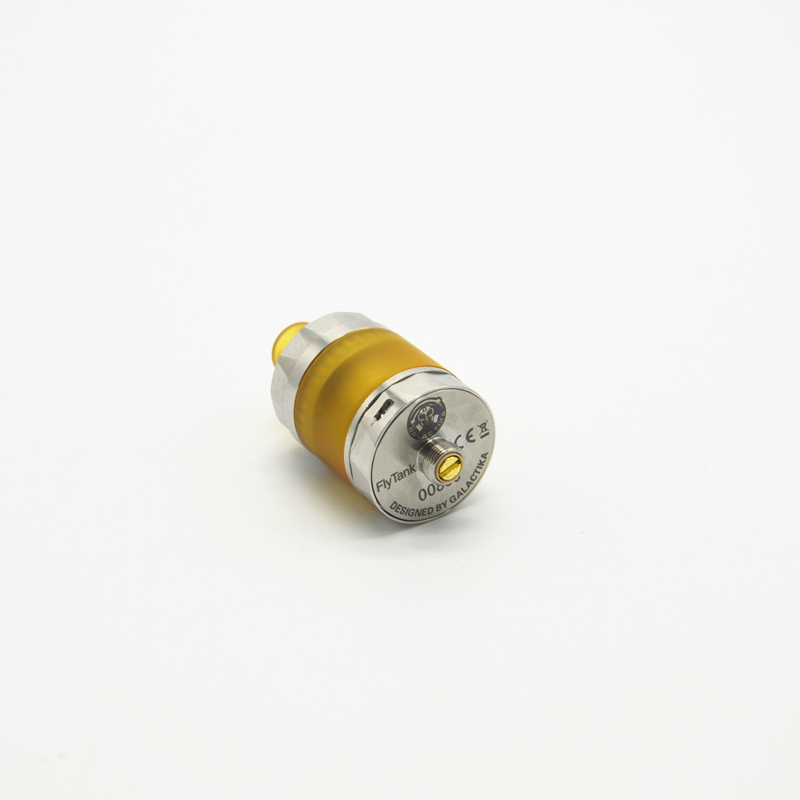 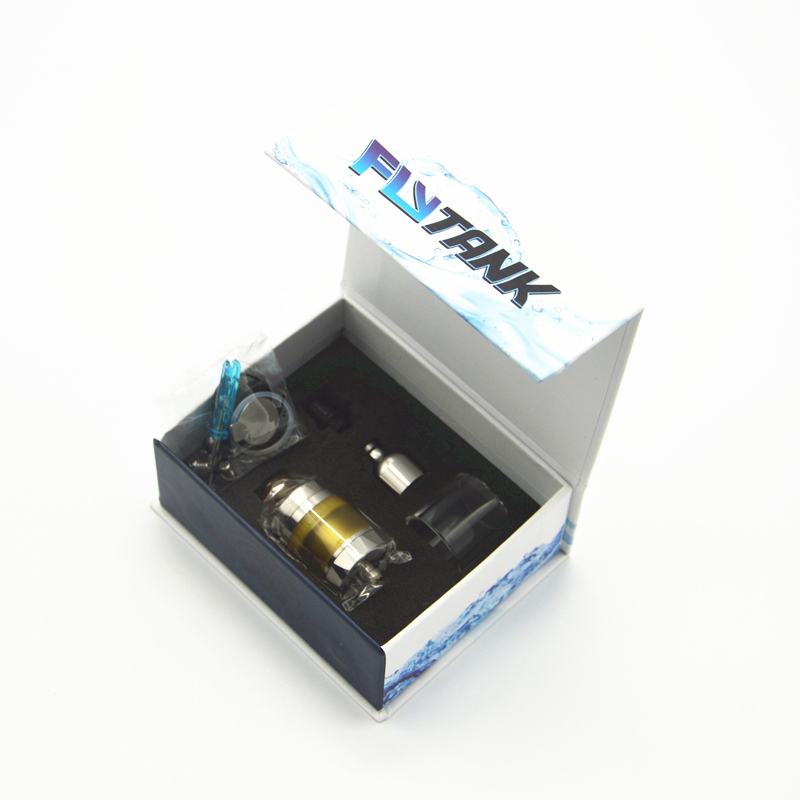 The aroma that the FLYTANK gives is very pleasant with a full-bodied and satisfying vaporization. 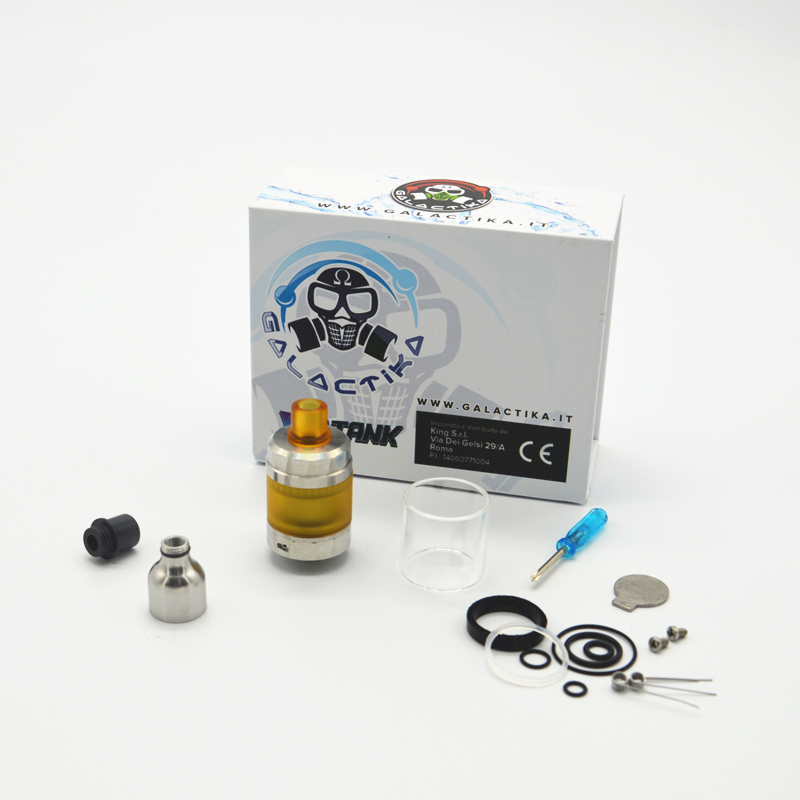 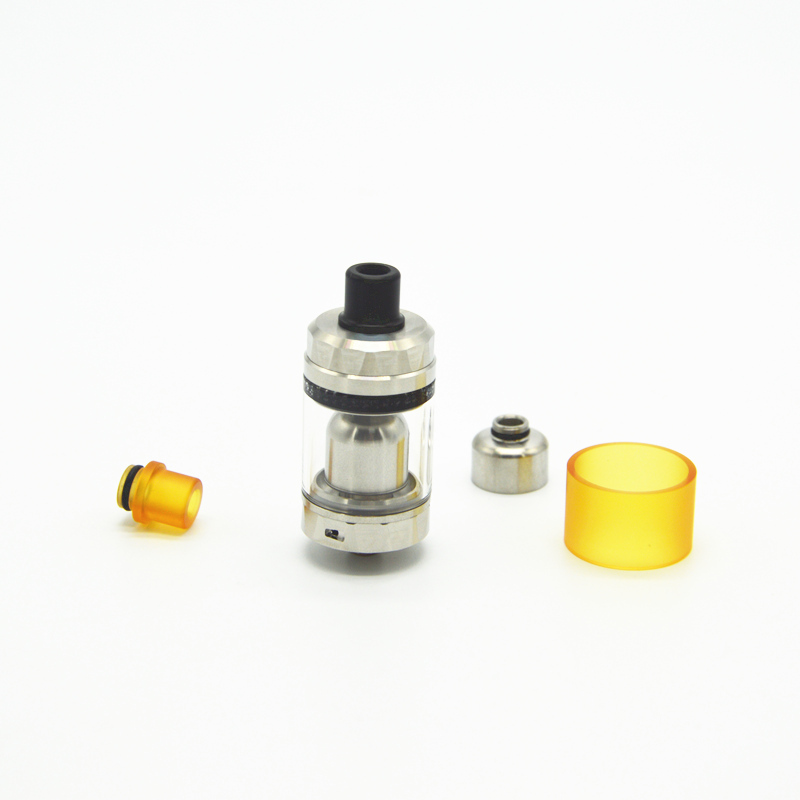 In the new packaging of GALACTIKA Mod there are also the ACCESSORIES and SPARE PARTS to start immediately to use the FLYTANK.